Games Wirtschaft the games and news magazine has just revealed Germany 2018 best selling games list. The chart reveals the top 20 best selling games ranging from 1 million+ up to 200K+ unit sold in the country. 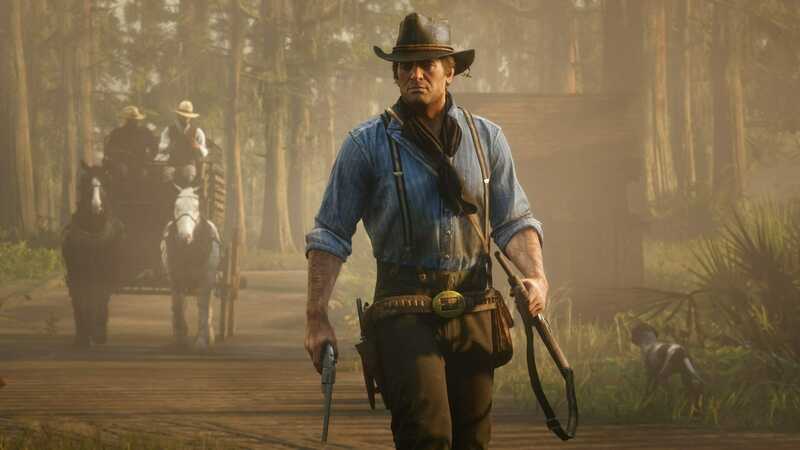 It wouldn’t be surprising to know Red Dead Redemption 2 topping the chart with a rocking 1M+ sales figure but the first spot is tied with Fifa 19 which released on 28th September. According to the website, Red Dead Redemption 2 and Fifa 19 were the best selling games of the year with more than 1M+ units sold in the country which is a great success considering RDR2 was launched 3 months ago. Nintendo titles seemed to take 7 places in the list as the company released many hits for Switch and WiiU. Following Nintendo, Electronic Arts took 3 places on the list. Check out the list down below. 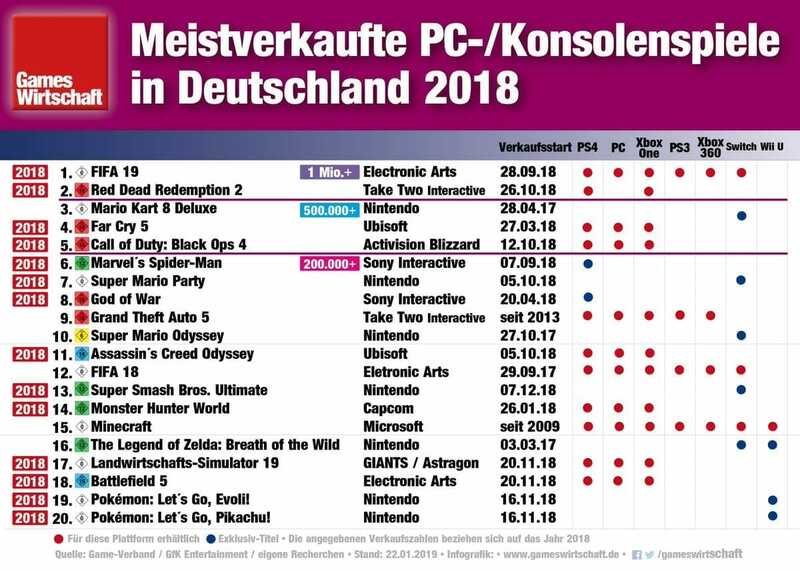 What do you think about this Germany 2018 best selling games list? Let us know down in the comments.